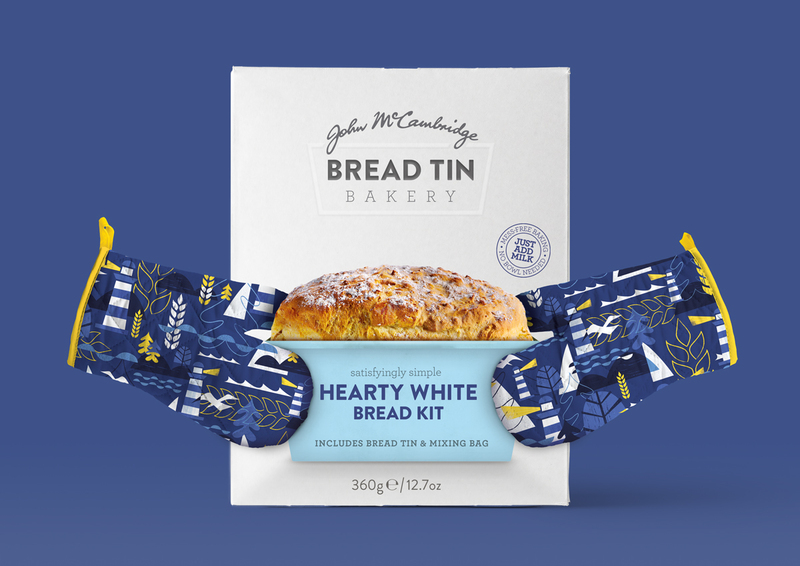 Brandpoint has revived and reinvented McCambridge’s classic home bake bread kit range to appeal to the modern market. 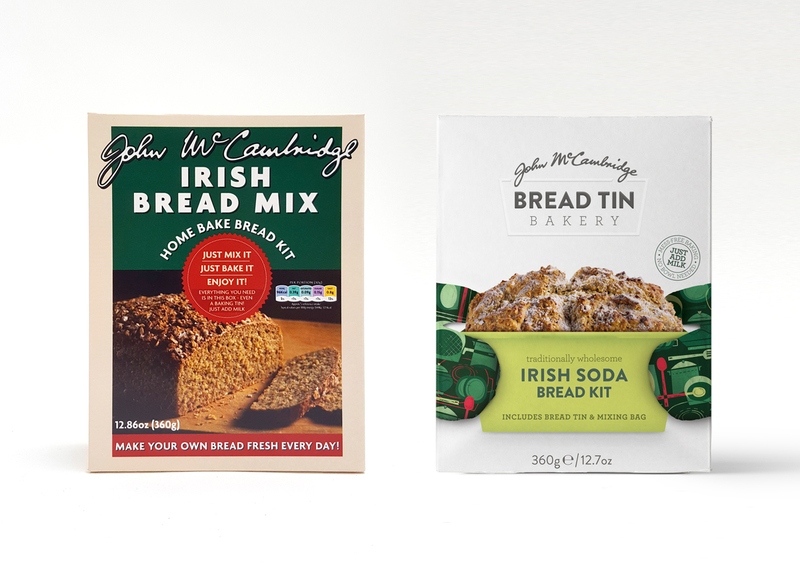 Owning close to a one-third share of the Irish bread market, McCambridge was an existing household staple. 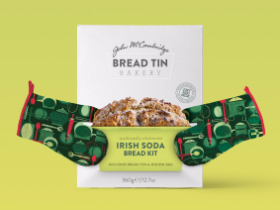 Their challenge was to rebrand and reposition the identity of the bread mix range in hope of expanding into further retail opportunities outside of Ireland. 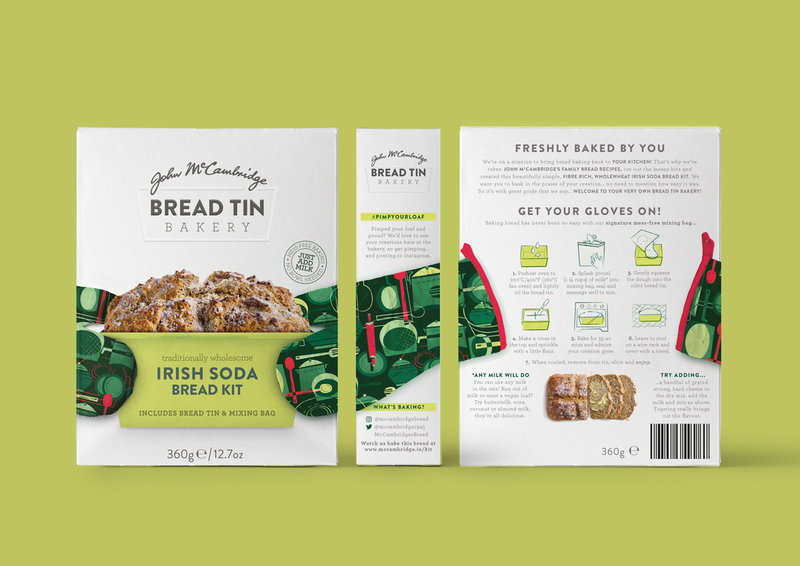 Maintaining the heritage of the iconic McCambridge signature, we developed the catchy new title ‘Bread Tin Bakery’, updated to a fresher, lighter colour palette, and used authentic visuals to communicate the simplicity of the product. Use of thicker, matte packaging and embossing the product title on the box panels presents a more premium effect. 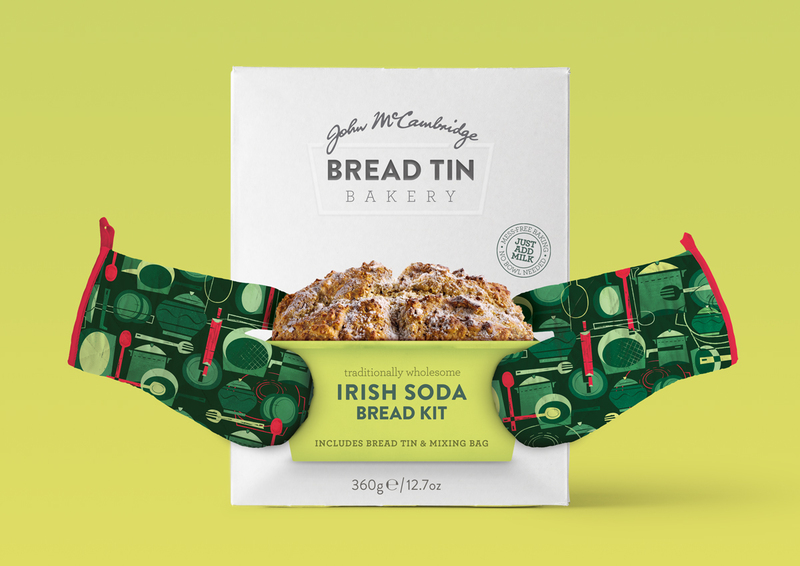 To emphasise the bake-at-home aspect of the brand, each different oven glove design makes reference to the McCambridge story: the classic Irish Soda Bread Mix features an Irish kitchen top with vintage family memorabilia, the White Bread Mix box depicts the Irish coastline and the history of importing goods from around the world, and the Gluten Free mix uses illustrations of the Irish countryside to hint at the lightness of the Gluten free loaf. 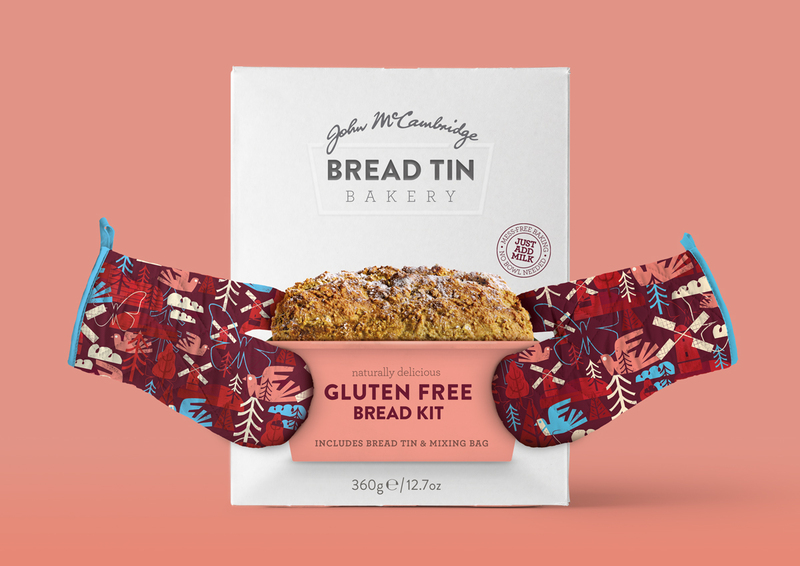 The kits come complete with bread tins included (hence the name) and a unique no-mess mixing bag; all you need is your oven gloves! The tone of voice in the copywriting has also been updated to be more personable and empowering towards the target consumer, and implementing #PIMPYOURLOAF widens the scope for the product through social platforms and resonates with a more modern audience. 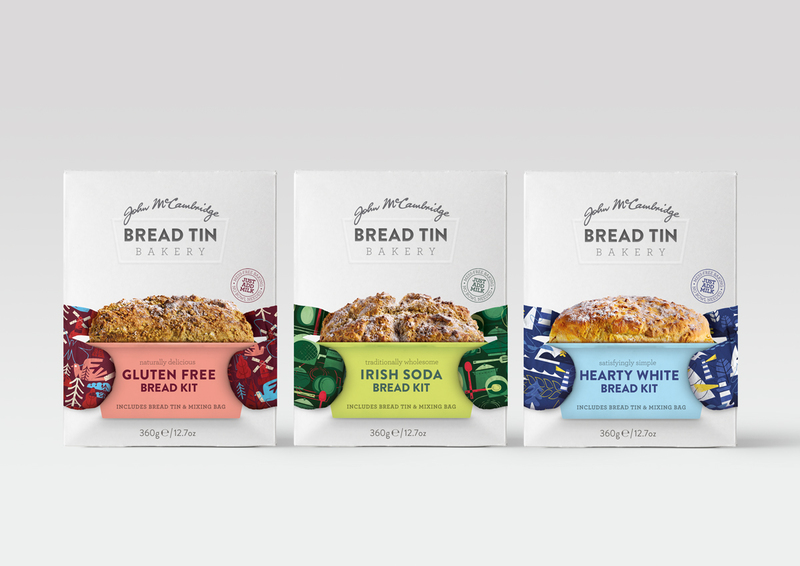 The McCambridge family have been following traditional bread recipes since 1945, hence their strapline of ‘a tradition made fresh every day’, which is also true of these bake-at-home mixes. Their products have no yeast, no added sugar and no preservatives. 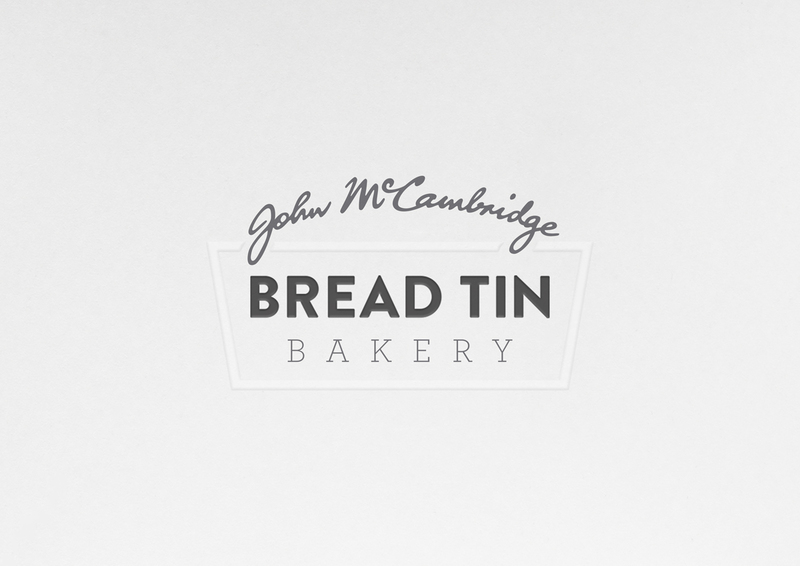 We've completely over-hauled the brand to create a unique, beautiful range of bread mixes. 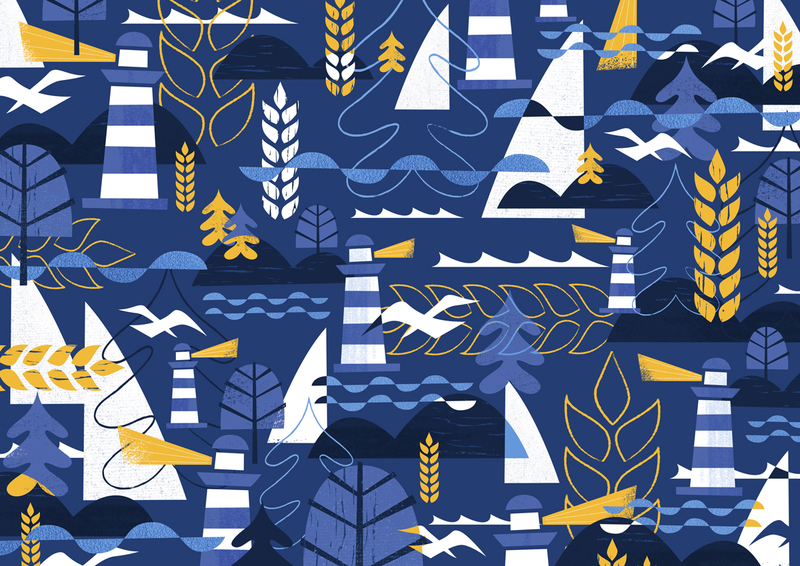 The brand is a shelf disruptor amongst the staid flours and other bread mixes with it's bright, smile in the mind design. We've also brought a big of luxury finishing to the aisle with embossing, matte finishing and metallic pantone inks.